The Refinery is full of history. Built in 1914 to refine gold from the Waihi mine, it is a beautiful light filled gallery like space with exposed wooden beams and white concrete walls. This houses our cafe 'The Refinery' (open Wed-Sun) where you are invited to enjoy a coffee and breakfast. (complimentary coffee for guests with food purchase) to fuel your holiday adventures. The separate cottage is comfortable and private while still having access to the rest of the property and the convenience of being right in the heart of Paeroa. Minutes walk to all the antique shops, restaurants and, of course, the Hauraki Rail Trail. 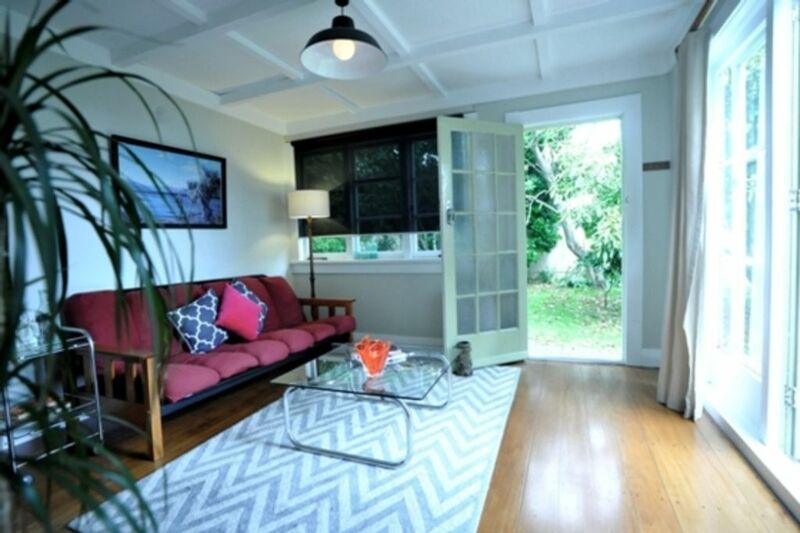 The cottage is decorated in a retro style with plenty of books, pottery and kiwiana treasures. Ideal for a 2-3 adults or a couple with 1-2 kids. A giant avocado tree is just outside the door along with many other fruit trees dotted about the property. The Karangahake Gorge is just a few minutes drive away with fantastic walks, swimming holes, and cycle paths to enjoy. A little further on is historic Waihi and Waihi beach for swimming and surfing. Just an hour and a half from Auckland-Paeroa is a great base for exploring the area. Were welcomed with fantastic afternoon tea, wonderful food,amazing coffee. Accommodation clean and very comfortable beds. Close to all that Paeroa can offer. Close to the bike trail. Second time here, a great location and friendly and helpful host. Cottage had everything we needed for a base when exploring surrounding regional parks. Love the cafe next door, fantastic coffee and great range of food. The kids loved all the quirky little items in the cottage. The beds were lovely and comfortable.